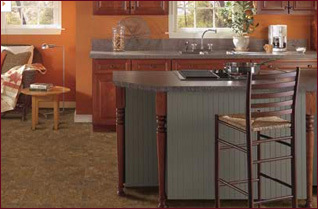 Vinyl Flooring is yet another option. Does it tear? Where to use it? Is it better than wood or laminate? Wearability? Do you need to spend money on a new subfloor? Let us point you in the right direction. Explore the gorgeous new vinyl designs out there that will add class and charm to your home. Call (631) 470-3544 or email for your free consultation.